We Robot 2014: "Risks & Opportunities” is a conference at the intersection of the law, policy, and technology of robotics. Participants include academics, practitioners, and developers in the form of scholarly papers or presentations of relevant projects. Through this interdisciplinary gathering, we are encouraging conversations between the people designing, building, and deploying robots, and the people who design or influence the legal and social structures in which robots will operate. Topics include: * Risks and opportunities of robot deployment in the workplace, the home, and other contexts where robots and humans work side-by-side. * Issues related to software-only systems such as automated trading agents. * Regulatory and licensing issues raised by robots in the home, the office, in public spaces (e.g. roads), and in specialized environments such as hospitals. * Design of legal rules that will strike the right balance between encouraging innovation and safety, particularly in the context of autonomous robots. * Issues of legal or moral responsibility, e.g. relating to autonomous robots or robots capable of exhibiting emergent behavior. * Usage of robots in public safety and military contexts. * Privacy issues relating to data collection by robots, either built for that purpose or incidental to other tasks. * Intellectual property challenges relating to robotics as a nascent industry, to works or inventions created by robots, or otherwise peculiar to robotics. * Issues arising from automation of professional tasks such as unauthorized practice of law or medicine. * How legal scholars should think about robots, and how roboticists should think about the legal code. Dubbed the “varsity sport for the mindTM,” FIRST Robotics Competition combines the excitement of sport with the rigors of science and technology. Under strict rules, limited resources and time constraints, teams of 25 students or more are challenged to raise funds, design a team “brand,” hone teamwork skills and build and program a robot to perform prescribed tasks against a field of competitors. It’s as close to “real world” engineering that a student can get! Volunteer professional mentors lend their time and talents to guide each team. Grades 9-12 (ages 14-18) get to: Learn from professional engineers; build and compete with a robot of their own design; learn and use sophisticated hardware and software; be exposed to design, project management, programming, teamwork, strategic thinking; and Coopertition™. They can also earn a place in the Championship and qualify for over $18 million in college scholarships. Get Involved! Event is free and open to the public. Our 3rd Annual Festival of the DIY Inventive Spirit in Tampa Bay will feature a front and center Robotics Showcase that will include FIRST K-12 youth robotics teams and 15 lb and under class fighting robots from the National Robotics League, organized by the University of South Florida's Robotics Interest Group. A variety of other robotics displays will also be on hand for a full weekend of technical, creative and professional exhibits, workshops and sessions covering everything from patent development and the inventive process, to 3D printing, programming, mechanical and electrical design, green tech and open source technologies, with a special Young Makers section for kids and families, as well. Hosted by Learning is for Everyone, Inc.
A 60 minutes introductory robotics class open to children 7-13 years old. This is a discovery class where children have the opportunity to work in teams of 4, sharing responsibilities during the hands-on building and programming of a robot to do some fun tasks. The Florida Institute for Human and Machine Cognition (IHMC) is celebrating the 5th annual National Robotics Week by opening the Robotics Lab to the public for tours and demonstrations. The goal is to educate and inspire students in the fields of science, technology, engineering, and mathematics. This free, family-friendly event encourages scientific discovery through hands-on activities challenges and demonstrations while providing the opportunity to learn about scientific careers from actual research scientists and science educators. Robots on display will include Boston Dynamics' Atlas robot used in the DARPA Robotics Challenge, the FastRunner and HexRunner prototypes, micro air vehicles, and NASA's X1 Exoskeleton. Florida Advanced Technological Education (FLATE) Center, the National Science Foundation Center of excellence for high-tech manufacturing in Tampa is celebrating national robotics week. As part of this effort FLATE is partnering with local engineering and robotics clubs throughout Tampa bay to showcase applications of robotics technology in industrial and everyday settings. Educators, students, industry professionals, or anyone interested in STEM and robotics are invited to participate in this interactive event which will be held on April 11, 2013 at HCC in Brandon from 3 p.m. – 6 p.m. The FLATE Robotics Open House Serves as a Hotspot for STEM & Robotics Enthusiasts. FLATE—the National Science Foundation Center of Excellence in manufacturing at Hillsborough Community College—partners with local engineering and robotics clubs in Tampa bay to celebrate national robotics week. The event showcases the various dimensions of robots and robotics technology at play. Robots serve as a “hook” in helping steer students’ interest in science, technology, engineering and mathematics (STEM). The robotics open house bring students, educators, parents and industry professionals from across the Tampa bay region. The robotics open house is an educational experience, not only for first timers, but for returning visitors as well. The MATE Center uses underwater robots – also known as remotely operated vehicles or ROVs – to teach science, technology, engineering, and math (STEM) and prepare students for technical careers. Working in partnership with the Marine Technology Society ROV Committee, MATE created the ROV competition as a way to: Engage students in STEM and expose them to science and technology careers Encourage students to develop and apply technical, teamwork, and problem solving skills Provide funds, materials, and technical expertise to support student learning provide industry with skilled individuals who can fill workforce needs The MATE competition challenges K-12, community college, and university students from all over the world to design and build ROVs to tackle missions modeled after scenarios from the ocean workplace. The competition’s class structure of beginner, intermediate, and advanced complements the education pipeline by providing students with the opportunity to build upon their skills – and the application of those skills – as they engineer increasingly more complex ROVs for increasingly more complex mission tasks. The MATE competition requires students to think of themselves as “entrepreneurs” and transform their teams into companies that manufacture, market, and sell “products.” In addition to engineering their ROVs, the students are required to prepare technical reports, poster displays, and engineering presentations that are delivered to working professionals who serve as competition judges. National Robotics Week is coming to Florida International University. This series of robotics events hosted by School of Computing & Information Sciences and FIU Discovery Lab will take place on April 12th. Exciting and interesting robotics research projects will be demonstrated during the event. 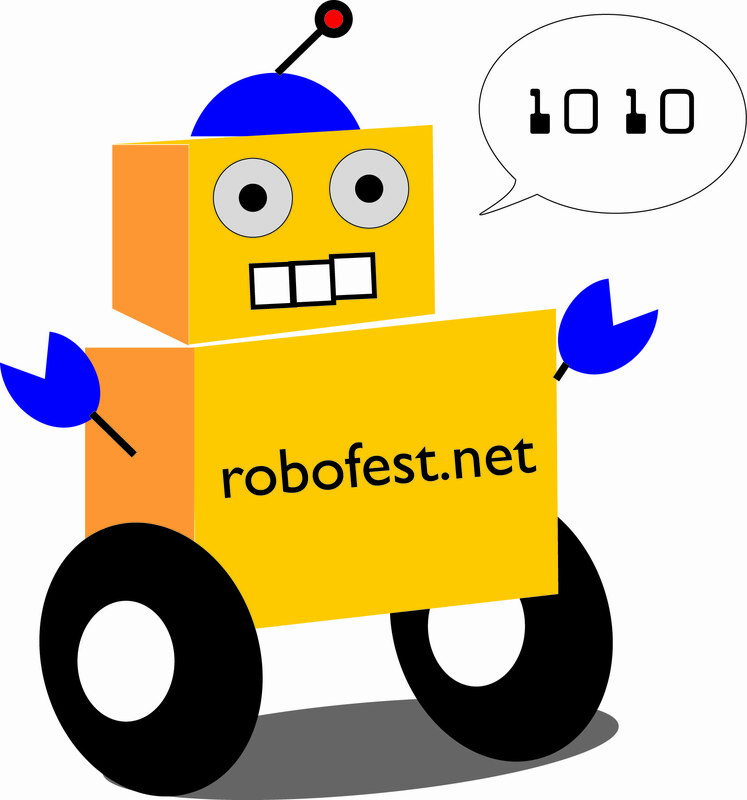 The Cornerstone School will host a qualifying competition for Robofest Exhibition and Game in which student teams design, construct, and program their robots to act independently and compete for trophies in a variety of competitions. Our world-renowned leaders in robotic surgery will present advances in complex minimally invasive surgery through concurrent multispecialty sessions. In addition to focusing on specific areas of specialty, you will have the opportunity to learn strategies for launching a successful robotics program — from a single-robot center to a multi-robot world leading institution. You will also have the opportunity to watch as we perform “live” robotic surgeries. MATE’s international student underwater robotics (remotely operated vehicle or ROV) competition consists of an international event and a network of 22 regional contests that take place across U.S. and in Canada, Hong Kong, Scotland, Japan, and Egypt. Student teams from upper elementary schools, middle schools, high schools, home schools, community colleges, universities, and community organizations, such as the Boys and Girls Club and 4-H, participate. The competition consists of four different classes that vary depending on the sophistication of the ROVs and the mission requirements.